We live in a world of constant communication, where we can connect with friends and family at the push of a button on our phones or tablets. It’s no surprise, then, that there’s been a huge influx of messenger services since the inception of the smartphone. Whatsapp, Facebook Messenger, and even Snapchat to an extent, all allow people to chat instantly; whenever they want, wherever they want. It would take something special to knock these messenger apps off of their respective thrones, something unique compared to them all. As Yabb shows, though, such a feat is possible. 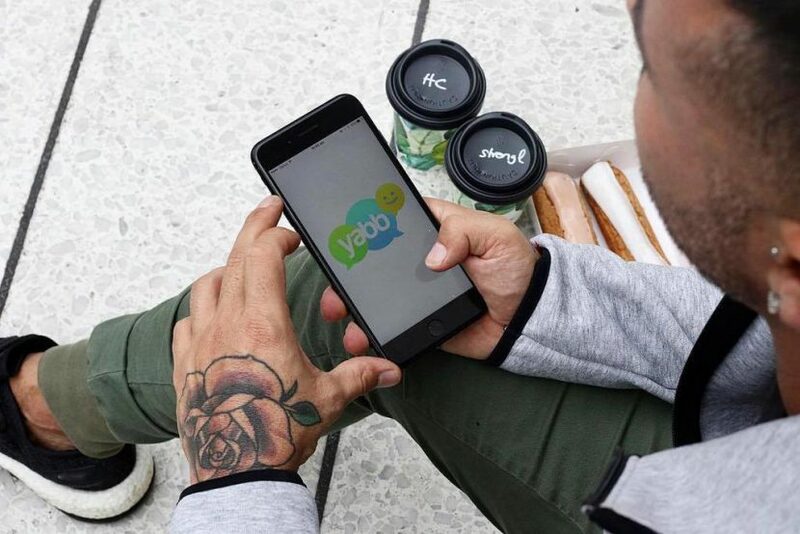 Yabb is a brand new instant messenger service that allows users to call, text, picture, and video message other users free of charge. It stores all chats, including group ones, for an indefinite period of time. Calls are stored in a separate section not too dissimilar to how the iPhone’s own phone app looks. A discover section allows users to search for nearby friends, make new friends, take photos with a Snapchat-style ‘mask’ on, and collect badges – a sort of reward system. Then there’s the social section, the app’s own social media in which you can post anything for anybody to see. As you can already see, Yabb is much more than just another messenger app. Setting up a profile and connecting with friends or family is simple in Yabb, the latter of which can be done through your phone’s address book, email, or Facebook. When you have your contact list set up, you can message either in single conversations or group chats. Group chats can be personalised by the admin by adding a profile picture, icon, and even background. Once in a group, you have the ability to send text messages, photos, videos, and even YouTube videos – the latter can be searched for within the app, eliminating the need to exit at any point. Even if you or your friends are offline, a notification feature allows you to still keep in contact by letting them know what you’re doing, or perhaps what you want to do. Yabb allows you to completely personalise your experience to suit you and your contacts. What’s impressive about Yabb is that the developers have managed to include the most-loved and used features of all of the most popular messenger apps out there into one easy to use, simple app. Cramming Whatsapp, Snapchat, and Facebook all into one sounds like a recipe for disaster, but one look at its UI shows that all of its features marry harmoniously. Flicking between chats, calls, social media, and the discovery features is as easy as a single tap of the screen, and each section is laid out in a visually appealing way. In combining such a large amount of features, it also eliminates the need to go elsewhere; everything is here, in one place, eliminating the need to go elsewhere. What’s impressive about Yabb is that the developers have managed to include the most-loved and used features of all of the most popular messenger apps out there into one easy to use, simple app. The most important thing now is for Yabb to increase its user-base, as the more people who use it the more popular it becomes. The ability to share its details on social media and invite people by text or email is a crucial feature, and will hopefully increase its user base. As a collection of everything that’s great and popular about social media and messaging services today, it deserves it.